A consulting agreement template is a legally binding agreement about the nature of working relationship between two or more researchers in a research project. It must be executed, or signed, prior to the starting of the project. It specifies about the intent of the parties to share data, research materials and facilities, and to publish research findings. In determining whether or not a consulting agreement was for services performed by the debtor after his/her bankruptcy was filed, the court is not constrained to follow the label which the parties put upon the document. 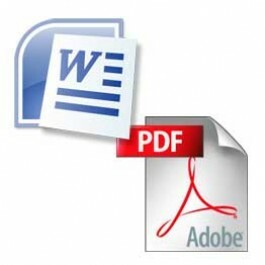 This agreement is in fillable pdf format as well Microsoft Word File. 1. Introduction. Agreement made _______________________ by and between ____________________________________________________, with offices at ____________________________________________________ (Consultant), and _________________ with principal offices at ________________________ (Client). 2. Retention and Description of Services. During the term of this Agreement, Consultant will furnish consulting services and advice as specifically requested by __________________________________________, Client's President. The services and advice will relate to work being done or planned by Client in the field of __________________________________________, will be within the area of Consultant's technical competence, and will specifically include the following: ___________________________________________________________________. 3. Term of Agreement. Consultant's services shall be available to Client from _____________________________________________________ to and including __________________________________________________________________. 4. Where Services Are to Be Performed. Consultant's services will be performed at Client's facilities at _________________________________________________ and such other places that are appropriate and are mutually agreed to by Consultant and Client. 5. Compensation. Client will pay Consultant a consulting fee of ______________________dollars ($_______________) per day (minimum of eight hours and prorated for partial days) for work performed by Consultant under this Agreement. The consulting fee shall be payable at the end of each month in which Consultant furnishes services pursuant to this Agreement. 5. Compensation. Client will pay Consultant a consulting fee of ______________________dollars ($_______________) per hour for work performed by Consultant under this Agreement. Consultant will invoice Client at the end of each month for consulting fees due with respect to work performed by Consultant under this Agreement during that month, with payment due within _______ days after receipt of each invoice. 6. Reimbursement of Travel Expenses. Client will reimburse Consultant for all authorized expenses incurred by Consultant for travel required in connection with the furnishing services under this Agreement, except for travel between Consultant's home or office and Client's facilities in ____________________________________. In the event Consultant is required to travel outside these facilities, Consultant's time actually spent in transit shall be considered working time. Reimbursement of travel expenses shall be made on the basis of itemized statements submitted by Consultant and including, whenever possible, actual bills, receipts, or other evidence of expenditures. 7. Minimum and Maximum Consulting Hours. Consultant will furnish Client with a maximum of ______ days during the term of this Agreement, but no more than [number] days in any one calendar month. Additional time may be mutually agreed upon. Client will require a minimum of ______ days during the term of this Agreement. If, at the end of the term of this Agreement, Client has not called upon Consultant for the minimum number of days guaranteed, Client, nevertheless, will pay Consultant for the days guaranteed but not used by Client. 8. Consultant an Independent Contractor. Consultant will furnish Consultant's services as an independent contractor and not as an employee of Client or of any company affiliated with Client. Consultant has no power or authority to act for, represent, or bind Client or any company affiliated with Client in any manner. Consultant is not entitled to any medical coverage, life insurance, participation in Client's savings plan, or other benefits afforded to Client's regular employees, or those of Client's affiliated companies. If Client or any of Client's affiliated companies is required to pay or withhold any taxes or make any other payment with respect to fees payable to Consultant, Consultant will reimburse Client or the affiliated company in full for taxes paid, and permit Client to make deductions for taxes required to be withheld from any sum due Consultant. 9. Consultant Not to Engage in Conflicting Activities. During the time of this Agreement, Consultant will not enter into any activity, employment, or business arrangement that conflicts with Client's interests or Consultant's obligations under this Agreement. In view of the sensitive nature of Consultant's status, Client shall have the option of terminating this Agreement at any time if, in Client's sole judgment, a conflict of interest exists or is imminent. Consultant will advise Client of Consultant's position with respect to any activity, employment, or business arrangement contemplated by Consultant that may be relevant to this Paragraph. For this purpose, Consultant agrees to disclose any such plans to Client prior to implementation. 10. Trade Secrets and Inventions. Consultant will treat as proprietary any information belonging to Client, Client's affiliated companies, or any third parties, disclosed to Consultant in the course of Consultant's services. Consultant assigns and agrees to assign to Client or Client's nominee all rights in inventions or other proprietary information conceived by Consultant during the term of this Agreement with respect to any work that Consultant performs under this Agreement. 11. Inside Information--Securities Laws Violations. In the course of the performance of Consultant's duties, it is expected that Consultant will receive information that is considered material inside information within the meaning and intent of the federal securities laws, rules, and regulations. Consultant will not disclose this information directly or indirectly for Consultant or as a basis for advice to any other party concerning any decision to buy, sell, or otherwise deal in Client's securities or those of any of Client's affiliated companies. 12. Warranty That Agreement Does Not Contemplate Corrupt Practices--Domestic or Foreign. Consultant represents and warrants that (a) all payments under this Agreement constitute compensation for services performed and (b) this Agreement and all payments, and the use of the payments by Consultant, do not and shall not constitute an offer, payment, or promise, or authorization of payment of any money or gift to an official or political party of, or candidate for political office in, any jurisdiction within or outside of Australia. These payments may not be used to influence any act or decision of an official, party, or candidate in his, her, or its official capacity, or to induce such official, party, or candidate to use his, her, or its influence with a government to affect or influence any act or decision of such government to assist Client in obtaining, retaining, or directing business to Client or any person or other corporate entity. As used in this Paragraph, the term "official" means any officer or employee of a government, or any person acting in an official capacity for or on behalf of any government; the term "government" includes any department, agency, or instrumentality of a government. 13. Termination of Agreement by Notice. Either party may terminate this Agreement upon ______ days' notice by registered or certified mail, return receipt requested, addressed to the other party. If this agreement is terminated by either party, the client shall only be liable for payment of consulting fees earned as a result of work actually performed prior to the effective date of the termination. The ______ days' notice shall be measured from the date the notice is posted. 14. Governing Law. This Agreement is subject to and shall be interpreted in accordance with the laws of ____________________________________________.